Be one of the first to hear Dälek’s new album Endangered Philosophies! 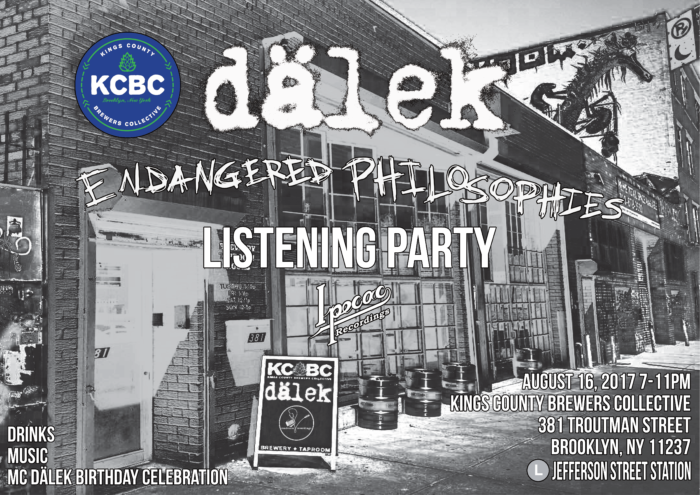 The group will be listening to the new album and spinning some rare tracks along with some of their favorite music at KCBC’s tap room in Brooklyn, NY. This will also be MC Dälek’s birthday celebration, so come enjoy some great beer with the deadverse family and Kings County Brewers Collective.